Do you want to buy a sauna? With KLAFS you’re in good hands, from individual and comprehensive consulting through to correct installation in your home. Select the model that suits you when it comes to purchasing a sauna by clicking here which gives you an overview of the saunas, information about visiting our exhibition centres or access to the catalogue. If you have questions about adapting your sauna and buying a sauna, then our KLAFS advisor will behappy to take you through things personally or via KLAFS chat. Which sauna is right for me? Do you want to buy a sauna? 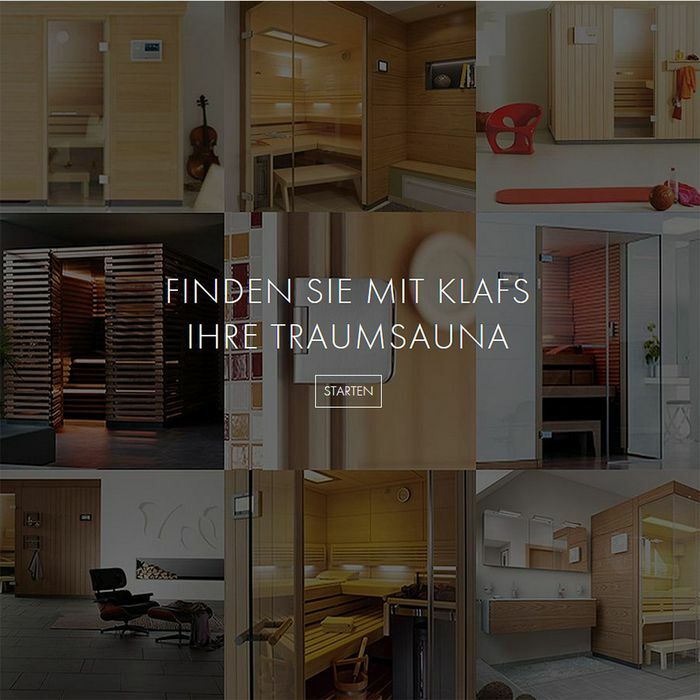 Now quickly and easily find the optimal KLAFS sauna models for you. Only five questions need to be answered and then our sauna finder will make an individual recommendation. You want to buy a sauna with an exquisite design? Do you value high-quality materials, pieces of additional equipment and extraordinary design? Choose your favourite from the diverse KLAFS sauna range. First you plan and then you buy your exclusive dream sauna. Do you have your own ideas and want to adapt the sauna individually and exclusively according to those ideas and your room? For decades at KLAFS we’ve been accustomed to turning even the most unusual wishes into reality. Do you think that difficult locations and situations and narrow spaces will prevent the installation of a sauna? Well here you can discover how our experts create perfectly measured installations in confined spaces. Sauna in a small space? Do you have very little room and no power connection and don’t want to have carry out any alterations? 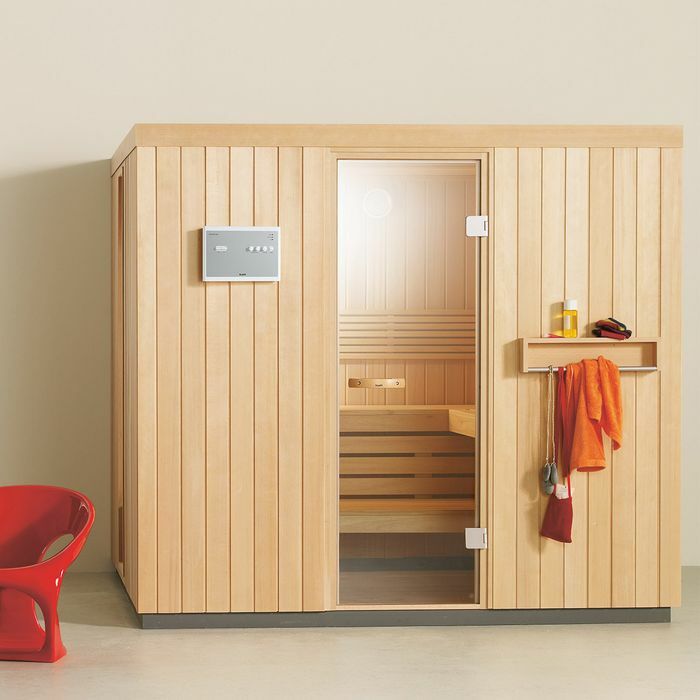 Our SMARTSAUNA® fits into the smallest of spaces and only requires a normal 230 volt power socket. Do you value proven quality? The production of KLAFS saunas is recognised with the RAL quality mark. We can offer certified quality saunas, such as the HOME model. Do you still have questions about your sauna purchase? You can be sure that if you buy your sauna from KLAFS, then everything will be done correctly. And that is irrespective of which KLAFS model you choose to purchase. This is because every KLAFS sauna is made from the best quality wood with quality workmanship. In addition, every KLAFS sauna is RAL,VDE and GS certified, and your domestically used sauna is provided with a 10 year on-site warranty. True to the motto Buy a sauna by KLAFS - and relax safely in reliable surroundings for many years. 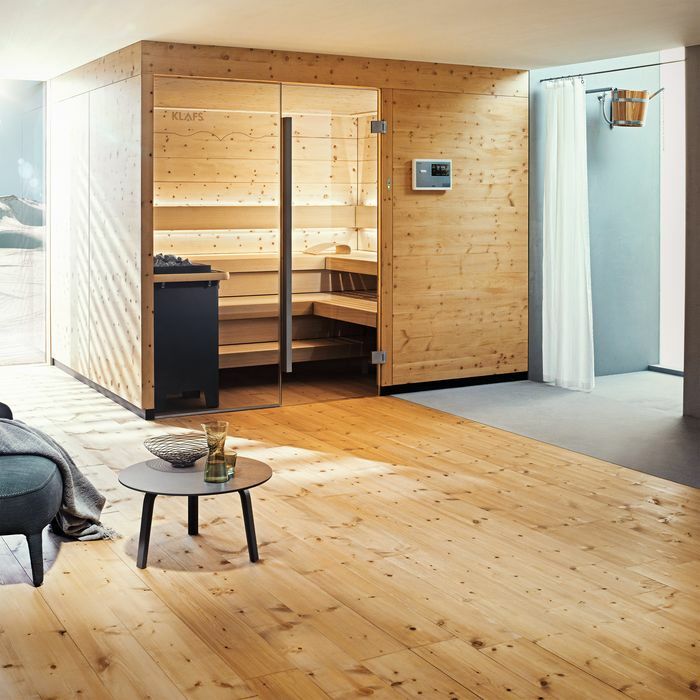 And so that your sauna purchase is perfectly relaxed, we can offer first-class advice in one of our 16 exhibition centres spread throughout Germany. 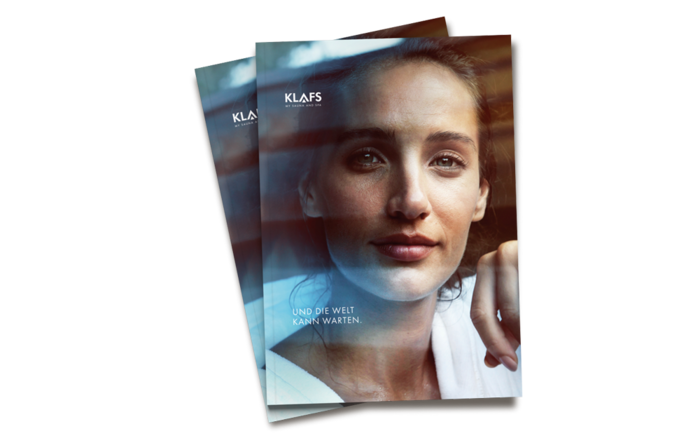 Together with you, our expert advisors guarantee to find the model that best suits you from the extensive KLAFS range, so that whatever you decide, it will be the right KLAFS sauna for you.